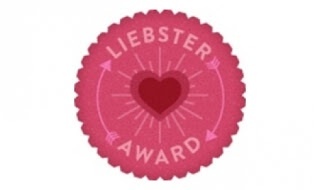 Giveaway dose: The LIEBSTER AWARD! This award is for the raring bloggers who have less than 300 followers. - Answer the questions the tagger has asked you. - List 10 bloggers you nominate and link them in the post. Let them know. - Create 10 questions for the bloggers you have tagged to answer. 2) Which is your all time fav blog. Name one only. 3) One thing that you love and hate about blogging. 4) A trend that you think will never die. 5) If you owned a country, behind which accessory would you name it? 6) Nail art:yay or nay? 7) Sabyasachi or Satya Paul? 8) Madhubala or Marilyn Monroe? 6)A Blush Of Pink ! 10) Describe yourself in 5 words. Congratulations to all the nominees and wish you loads of love. Would you like to follow each other through Bloglovin? An award means a lot ! !